EMS agencies have been talking about if/when to move away from paper EMS trip reports to electronic EMS trip reports for ages. In the past, the cost comparison between purchasing base computers or ruggedized laptops and handwritten EMS trip reports or scannable forms proved formidable barriers for so many EMS agencies. Thankfully, in recent years as EMS agencies have begun using ePCR software to document EMS trip reports with more frequency, discussions have moved away from paper versus electronic to the benefits of moving to Online EMS software versus on-site software. Due to the large capital expense of implementing portable EMS trip report hardware, software and networking capabilities, and even office-based computers, some EMS agencies have had a difficult time justifying the move from paper EMS trip reports to electronic EMS trip reports. Some of the difficulty came from the fact that state or regional EMS offices often provided paper EMS trip reports at no cost. But, like most industries, electronic data collection, including electronic EMS trip reporting, have become very affordable, especially since the move to EMS Online ePCR systems. So affordable, in fact, that the opportunity cost of not moving an ambulance agency's EMS trip reporting to some form of online electronic process is almost unheard of. As stated in prior blogs the EMS trip report begins at the point of dispatch. From the initial phone call, also known as the request for service, onto the initial point of data entry, an accurately written EMS trip report is essential. You should treat the trip report as the foundation of patient care. The EMS trip report is the ultimate means of identifying the quality of care from start to finish. Without a well-detailed trip report, proper and key information cannot be translated to the appropriate next level of care to effectively treat the patient, let alone get properly paid for the transport in a timely manner. While there is a national standard for collecting EMS data, local or regional trip reports often vary in data collection types and manner of compilation. As mentioned in previous blog posts, EMS data collection should occur at the point of dispatch. The challenge is to avoid any potential delays in creating and completing the EMS trip report. By using a patient account database of frequently transported patients’ names, street addresses, medications, etc. potential delays and a myriad of other possible errors disappear. Automated workflow that includes the ability to carry last ambulance trip or perform patient account lookups also helps reduce errors. One incorrectly-entered data point or one hard to read handwritten trip report can increase the export time of a trip report to the state by days or even weeks. Errors happen. Thankfully, the attention to detail greatly reduces them and supports the success of the EMS trip report. Ensure that your trip report review and correction process is efficient, easy to track, and measurable for when the inevitable errors do occur. Crews simply don't have the time to double-check every data entry field on a trip report. A good ePCR trip reporting system will do it for you by utilizing levels, or types, of automated validations. An even better ePCR trip reporting system will enable you to configure it to follow the guidance and requirements of local medical directors. EMS agencies can easily avoid inaccurate patient data in trip reports, and therefore delays in completing EMS trip reports, by utilizing Online EMS ePCR software. EMS ePCR software enables users to call-up previously transported patient information to save time and eliminate the possibility of spelling errors. Certainly, in terms of patient care, time is of the essence. The EMS trip report is a critical communication component of transferring information to the next phase of the patient care continuum. Without an EMS trip report, a plethora of delays and accuracy issues can occur. Delays in completing the EMS trip report have a domino-effect throughout the entire patient care continuum. EMS trip report delays create even more delays in collection of payment. This, obviously, brings its own difficulties. EMS trip report delays could severely impair cash flow if unchecked. Make sure crews complete their EMS trip reports before ending their shift. Treat this as the final daily tasks. As soon as possible, have a partner or quality assurance supervisor review the report against national, state, regional and local EMS trip reporting guidelines and provide feedback to the crew that originated the report. A good ePCR software should have automated QA workflows to help with this step. 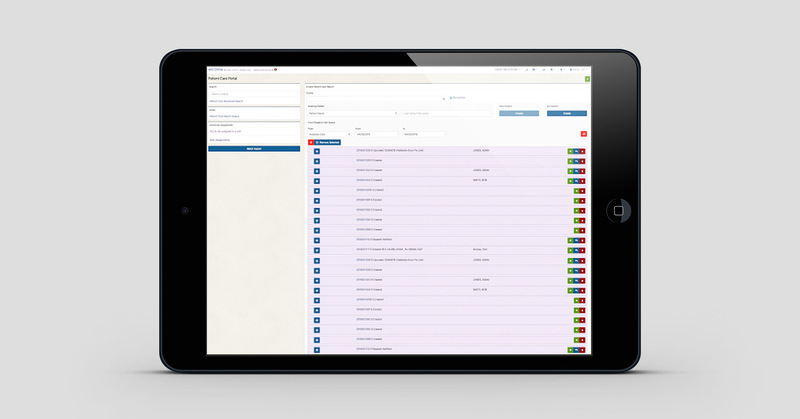 Avoid incomplete EMS trip reports by utilizing an ePCR software that stores prior patient data and allows for user defined field configuration. A good ePCR software should have account lookup capabilities and automated validation processes to help with this step. Avoid opportunities for insurance payment deference by utilizing billing experts to review the EMS trip report before submitting it for payment. Be certain to check up-to-date insurance information. No one is without error, nor perfect, therefore neither is every trip report. However, paying attention to detail, finding a solid ePCR tool that can help automate the workflow and help prevent errors, will aid creating successful trip reports. Avoid EMS trip report delays and mistakes by adopting best practices like those highlighted in this post. To learn more about how AIM Online EMS Software and Services can assist in improving your EMS workflow, please give us a call today at 1-800-726-4690.